It has been a particularly bad month for the pharmaceutical industrial complex in its ongoing litigations in American courts. Among the main pharmaceutical headlines, Merck’s Gardasil vaccine for HPV, now being widely administered to pre-teens, was found to be linked to amyltrophic lateral sclerosis, commonly known as Lou Gehrig’s disease; following a $1.4 billion fine in promoting one of its blockbuster drugs Zyprexa off-label, deceptive correspondence was uncovered by Eli Lilly gaming the system again by promoting another one of its drugs, Cymbalta, off-label for fibromyalgia; AstraZeneca was fined $160 million for scamming the Medicaid system in Kentucky after being fined $215 million for ripping off Alabama; Glaxo lost a Pennsylvania trial for failing to warn doctors and pregnant women of the dangers of its antidepressant drug Paxil related to birth defects; and Pfizer scored a record-breaking fine of $2.3 billion for illegally marketing several drugs over the years: Bextra, Zyvox, Geodon and Lyrica. These kinds of charges, among the many others, have become a habit for drug makers for the past dozen years. When we speak of the pharmaceutical industry complex, it does not refer solely to private drug manufacturers. The complex, like a Matrix that holds captive the health of the nation in medical slavery by its own design and manipulation, is a consortium, a spiders’ web woven with financial attachments throughout the medical profession. In addition to the pharmaceutical and medical device firms, this complex includes every government health agency—the Food and Drug Administration (FDA), the Centers for Disease Control (CDC), the National Institutes of Health (NIH), and or course the Department of Health and Human Services (HHS)—as well as drug lobbying firms now employing a large number of former Congresspersons, insurance and HMO companies, all of the leading professional medical associations such as the American Medical Association (AMA) and the American Psychiatric Association (APA), the majority of medical schools and their research departments who are heavily funded by drug money, many of the most prestigious medical journals, and ultimately all of this filtering downward to the physicians who diagnose our illnesses and prescribe our medications and treatments. America is rightly regarded as having led much of the world in many qualitative innovations in all fields. That reputation is duly deserved. However, there is a new dynamic at work that is causing this reputation to be challenged. We are a nation that prides itself in our humanity, our sense of fairness, but today there is a growing concern that we are now being monikered as a country held hostage to a national security complex, which includes the largest military complex in the world, an obscenely expensive healthcare system and self-serving bureaucracies and private industries that serve their own financial ends. So it is not surprising that after spending this year $2.6 trillion on healthcare, we have such little health to show for it. There are second world countries where people live longer and healthier lives. And we have the worst healthcare among developed nations. So what have we received for our $2.6 trillion. As the current healthcare debate continues to rage over in sundries—the $200 billion net profit health insurance industry—the entire deliberation over disease prevention and treatment has been overshadowed. And amidst this partisan and ideological anarchy, perpetuated by our elected officials, the media, and fueled by the pharmaceutical complex, two other areas America excels as a leader above all other developed nations is in being the premier breeding ground for the pharmaceutical industrial complex’s greatest profits and, second, as the world’s exemplar in medical fraud and corruption. The fairy tale of America’s health as being best served by drugs is a creation of this complex, a lullaby that brings ill citizens repeatedly to their doctors and hospitals for diagnosis and treatment, or simply to deny healthcare altogether to the uninsured. The country is pacified by a blind belief that the drugs being prescribed to them have been proven safe because our government health agencies have our physical health and well-being in their best intentions. This is a lie, an extraordinarily deadly lie. Iatrogenesis, medically induced injury and death, is the number one cause of death in American medicine annually, since only a small percentage of these deaths are actually reported. Each year more Americans die from preventable deaths due to our medical system than all military causalities in the two world wars combined. This is tantamount to medical genocide. One of the major causes of these deaths is the overmedication of Americans in all ages. The constant need for profits has created an environment that allows the pharmaceutical industrial complex to use their enormous financial and political clout to literally make normal life experiences into new diseases, such as social anxiety disorder, in order to sell its drugs. The pharmaceutical industry has been given the authority to pathologize life, with the drugging of our children, seniors, etc. For example, the leading cause of AIDS deaths today is a result of liver failure. This is not a condition of HIV infection, but a direct result of the anti-HIV drug AZT. Is it little wonder then that we are being intimidated and frightened into believing that mandatory vaccination is being touted even though the science of efficacy and safety, even the need, for these new swine flu vaccines is patently unproven. It is perhaps one of the largest falsehoods ever perpetuated on humanity that dwarfs the sleaze on Wall Street. Every American who is prescribed a drug by a physician has the belief that that pill has undergone rigorous trials to scrutinize its safety. And when there are known potential adverse effects, we blindly assume these are known to the attending physician. However, this is a myth perpetuated not only by drug makers, but by our own federal health agencies. A 2003 investigation published in The Independent in the UK reported that “under pressure from the pharmaceutical industry, the FDA routinely conceals information it considers commercially sensitive, leaving medical specialists unable to assess the true risks [of approved drugs].” One case involved a very popular over-the-counter drug, the painkiller ibuprofen. 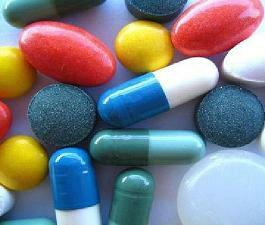 The investigators’ search uncovered concealed data showing that ibuprofen increased heart attack risks by 25 percent. Even Freedom of Information (FOI) filings to the FDA do not produce all the information being requested. For example, a group of Swiss investigators filed an FOI to procure trial data about the musculoskeletal pain drug Celecoxib and received back only 16 of the 27 trials conducted on it. A separate FOI concerning a similar drug, Valdecoxib, had pages and paragraphs deleted because sections of the document were marked as “trade secrets.” An even worse case involving a leaked report concerning internal memos and secret FDA reports provided detailed evidence that the FDA approved 9 different antidepressants, representing a total of 22 studies enrolling 4,250 children, while knowing full well that the risk of “suicide-related events” was twice as high as children taking a placebo. These are just several examples among numerous others. The pharmaceutical industrial complex is perhaps the largest, most influential cartel in the world. This becomes evident after considering the billions of dollars and other currencies drug companies have been forced to pay for a wide variety of corruption charges. Our analysis of 724 legal settlements from a random sampling among the over one hundred thousand by pharmaceutical corporations totally $87 billion is just a small indication about how pervasive Big Pharma’s criminality since the vast majority of settlements are concluded outside of court and remain confidential. It is extremely difficult to comprehend why the United States principle federal health agencies, particularly the FDA and National Institutes of Health (NIH), with the specific mandate to provide oversight on all pre-approved drug applications and delegated with the task to assure drugs are safe or at least specify clearly their known dangers, are so reprehensible and inept. There is only one rational answer and that is the pharmaceutical industry is the FDA’s largest client, and this relationship goes much deeper than the FDA functioning as an objective regulator investigating pharmaceutical products before being released upon the American population. It is not to far afield to suggest that as it stands now the US regulatory agencies are an extension of corporate America. As serial offenders of product safety cover-ups for over a decade, drugs have injured and killed millions. In the case Merck’s Vioxx, this one drug has killed 44,000 people and injured 120,000 others. Only in America could you kill 44,000 and not go to jail and get a raise. Should we assume, therefore, that the pharmaceutical complex should be trusted without challenge? We have also been asked to believe that the manufacturers were guided by a sense of public service. But when examining the top ten drugs sold, the facts reveal otherwise. In one example, manufacturers marked up a drug an astounding 500,000% over its equivalent generic version. Six other drugs were marked up 2000%. Pharmaceutical companies make profits higher than oil companies. Big Pharma’s impact is felt almost everywhere. But nowhere is it felt more than in the legal system. In a recently concluded, short-term study, we found 724 cases involving Big Pharma in which either the case ended in a verdict against the pharmaceutical company or the company settled. The number of cases is staggering, as are the dollar amounts. These cases cover practically every type of civil and criminal case. From products that kill, harm and maim, to false claims, to not paying taxes, to patent infringements, to bribery, to publishing false scientific journals. Yet, in spite of the tens of thousands of lawsuits won against Big Pharma, it still conducts business as usual. Eli Lilly flooded state Medicaid programs with Zyprexa: its superstar, antipsychotic drug. In 2003, worldwide sales of Zyprexa grossed $4.28 billion, amounting to almost one third of Lilly’s total sales. In the United States, during the same year, Zyprexa grossed $2.63 billion. A whopping 70 percent of these sales were directly related to government agencies—principally Medicaid. Fast-forward six years to 2009, Eli Lilly pleaded guilty for having illegally marketed Zyprexa for an unapproved use to treat dementia, and will pay $1.42 billion to settle civil suits and end the criminal investigation. Lilly agreed to pay $800 million to settle civil suits. It will pay $615 million to resolve the criminal probe, and plead guilty to a misdemeanor in violation of the Food, Drug and Cosmetic Act for promoting Zyprexa as a dementia treatment. Did Lilly also know of the possibility that Zyprexa could cause diabetes, which was also kept concealed under the protection of the FDA? They most certainly did, which makes their behavior all the more reprehensible. In 2002, British and Japanese regulatory agencies issued a warning that Zyprexa may cause diabetes. In addition, even after the FDA issued a similar warning in 2003, Lilly did not pull Zyprexa from the market. This becomes all the more understandable after it is taken into consideration that Lilly is also the largest maker of diabetes medications. An article by Mike Adams, the Natural News editor, states that Merck employees had a “hit list” of doctors they sought to “neutralize.” This allegation was confirmed when documents that had been secret were revealed during a Vioxx court case. The Australian revealed that the documents surfaced in the Federal Court in Melbourne and exposed the criminal intent of Merck employees who admitted they were going to “stop funding to institutions” and “interfere with academic appointments.” One Merck employee testified (about the doctors on the hit list), “We may need to seek them out and destroy them where they live.” Merck threatened or intimidated at least eight clinical investigators, testimony in court revealed. There are other, similar stories in which Merck deals with dissent by attempting to destroy the lives and careers of academics who don’t review their drugs favorably. Merck is steeped in a well-documented record of criminality. Such actions include, but are not limited to, intentionally hiding the liver-damaging effects of its cholesterol drug, intentionally withholding the release of clinical data that revealed the failures of another cholesterol drug; it has dumped vaccine waste and manufacturing chemicals into water supplies; it opened up offshore banking accounts to avoid paying billions of dollars in U.S. taxes, and it was caught in a huge scheme of scientific fraud when it was discovered that the company used in-house writers to secretly write so-called “independent” studies that were published in peer-reviewed medical journals. Under the Foreign Corrupt Practices Act, which the U.S. Department of Justice and the SEC enforce, it is illegal to bribe a foreign government official in order to obtain or retain business. Apparently, Bristol-Myers and Schering Plough were unaware of this law. According to the Associated Press, both drug makers were engaged in influencing government officials in Germany and Poland respectively. The pharmaceutical complex has also infiltrated the majority of American medical schools and medical research departments. A recent survey in the Journal of the American Medical Association discovered that 60% of academic department chairs have personal ties to industry (as consultants, board members, or paid speakers), while 66% of the academic departments had institutional ties to industry. Researchers who receive funding from drug and medical-device manufacturers are up to 3.5 times as likely to state their study drug or medical device works than are researchers without such funding. In 2000, Mylan Labs settled a case for $100 million. What the numbers don’t tell you is the story behind the numbers. In 1998, Mylan raised the wholesale price of clorazepate, a generic tranquilizer, to $377.00 (for 500 tablets) from $11.36 in one year. This represents a 3000% increase on a generic drug. It was subsequently revealed that Mylan conspired with the main manufacturer of the active, indispensible ingredient to have an exclusive agreement. The agreement prevented any other manufacturers from producing the drug, for without the active ingredient, the drug could not be made. Mylan’s deception was uncovered and it had to pay $100 million to settle an FTC antitrust case. But Mylan represents only an infinitesimal percentage of such examples. In all likelihood, the vast majority of similar cases remain undetected. The FDA’s under-regulation and erroneous oversight encourages this type of corruption. Another case included in our study states, “TAP [Taketa-Abbott Pharmaceutical] Pharmaceutical Products Inc. — $875,000,000 under the False Claims Act.” TAP agreed to pay $875 million to resolve criminal charges and civil liabilities in connection with its fraudulent drug pricing and marketing conduct regarding the drug Lupron, according to a press release from the Department of Justice. Lupron is used by male cancer patients to suppress the production of testosterone. Another drug worked as well, so to make Lupron the drug of choice for this condition, TAP played dirty by giving kickbacks to physicians prescribing the drug, thus ensuring its ridiculously high price would be maintained. Even though criminal indictments were filed against TAP Pharmaceutical officials, Lupron’s price remains overly inflated. In order to understand how we can spend 2.6 trillion this year on healthcare, but not reduce the incidence of cancer, heart disease, diabetes, obesity, mental conditions, arthritis, etc., we must realize this is a game. With each piece of the puzzle, feeding into a single picture of a massively corrupt, unethical, and frequently illegal system controlled by relatively few corporations within the pharmaceutical complex and the health insurance industry, are the ring leaders. They in turn influence thousands of lobbyists, paid-off scientists and academicians, and policymakers, especially those who rule on important health oversight committees. Health officials and legislators in turn solicit expert witnesses, preselected by the cartels, to position their drug agendas in the most favorable manner. The pharmaceutical cartel also has direct connections with its supporting scientific advisory boards and key foundations. These foundations, supported by policy think tanks who supply the so-called independent experts, then lobby the upper echelon within the FDA, NIH, CDC, NIMH, HHS. Ideally they hire former health commissioners and legislators previously players in the game to assist those same federal agencies to see their drugs guided through the regulatory process. Public relations and advertizing firms are contracted to give the public impression that these drugs are effective and safe for the sole reason they have received official licensing. In addition, the cartel creates front organizations with consumer-friendly titles whose representatives appear at national conferences and seminars beholden to special drug interests. Finally, the drug corporations set money aside to be paid out in settlements. With the exception of class action suits, the majority of cases for injury and death are accompanied by confidentiality clauses to prevent public disclosure of data the companies wish to remain secret. This is how the medical system is rigged and it is why we can watch 60 Minutes or read the New York Times serving as pharmaceutical shills to encourage vaccination, yet refusing to air or print the dissenting voices who have the scientific evidence to show it is a massive fraud. Therefore, the public is misled every step of the way. Victims of injury, such as the tens of thousands of children, now at 1 in 91 children, with autism spectrum disorder, are forced to fend for themselves. Parents know far better than the FDA and CDC, when their perfectly normal child after a vaccination or a series of vaccines shortly thereafter is lost, withdrawn into the dark corners of autism. And yet the pediatrician and psychologist will say the child must have had a genetic defect. The CDC, FDA and NIH, with an orchestrated voice, say it is not the vaccine. Everyone within the pharmaceutical industrial complex denies the truth. Only now, during the healthcare debate, are we seeing clearly the rampant politics of the pharmaceutical and insurance industries. The veils are finally being removed. If it were not for the healthcare debacle, we might still not know how the game is rigged and why our politicians and health officials will not tolerate any real reform and accountability at any level. If we want to clean up American medicine, the corporate shield must be removed and politicians, health officials and pharmaceutical executives must be held accountable. If they are threatened with jail time for manslaughter by pushing dangerous drugs, then we will see less life-threatening drugs go to market. We are in a perfect storm without a life raft. We much take back our freedoms of choice and demand legal accountability or nothing will change. Doug Henderson, JD is a legal mediator specializing in civil rights and Director of Gary Null and Associates in New York City. Dr. Gary Null is the host of the nation’s longest running public radio program on nutrition and natural health and a multi-award-winning director of progressive documentary films, including Vaccine Nation and Autism: Made in the USA. Dr. Null is also the plaintiff on a law suit against the FDA to prevent the launch of the swine flu vaccine until safety studies have been thoroughly conducted.